Soy protein isolate, a very cheap form of (often genetically modified or GMO) protein often used in inferior bars and shakes. If you want to know how bad soy protein isolate is, check out Dr. Kaayla Daniel’s book The Whole Soy Story. Fructose as the main sweetener. Dr. Joseph Mercola calls fructose “far more deadly" than sugar. Clever marketing allows manufacturers to pass this stuff off as health food. It doesn’t make it past me. Protein bars, energy bars, whatever you want to call them: For the most part, they’re what my friend JJ Virgin calls adult candy bars. If you think most of them are healthy – well, you’ve probably fallen into their brilliant marketing trap, and I'm here to pull you out. Listen, I understand why folks love protein bars. They’re super portable for those mornings you had a fight with your boyfriend and breakfast is the last thing on your mind. They travel well in planes, cars, or on the subway. They make a great pre-workout snack or mini-meal. And they taste good, or at least promise to. 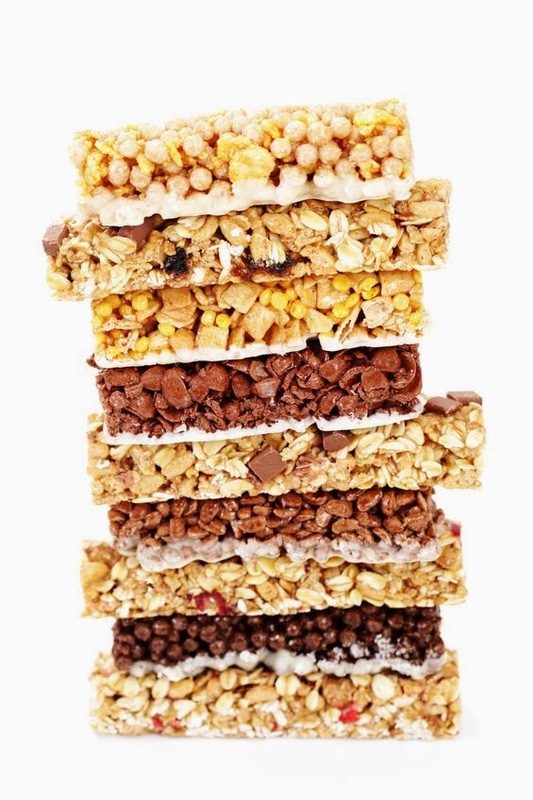 Protein bars also create a halo effect that make you feel like you’re eating something healthy. Manufacturers make all sorts of clever claims on the bar wrapper, but often what’s inside isn’t always healthy. You see, many commercial protein bars contain soy and other GMO ingredients. High-heat processing de-natures (damages) that already-cheap protein. They’re often loaded with chemicals and other preservatives that give them a shelf life of nearly forever (even if they shorten yours). And then there’s the sweetener. Sweetness adds palatability to protein bars, and manufacturers often go for one of two options. One is sugar, often as high-fructose corn syrup (HFCS) or fructose. Some will opt for “healthier” sweeteners like agave or honey, but don’t be fooled: Sugar is sugar, and you’ve got to read the nutrition label to understand how many grams of sugar you’re getting. Some manufacturers craftily create two or more servings from one tiny bar, thereby making the bar look like it has less sugar than it actually does. Don’t be fooled. Ironically, sugar overload will trigger cravings when these bars are supposed to curb your appetite. If you eat a sugar-loaded energy bar at 3 and suddenly start craving pasta around 5, that hunger and craving are the repercussions of your blood sugar crashing. The other sweetness route involves sugar alcohol or artificial sweeteners, both of which have a low glycemic impact and allow manufacturers to make all sorts of “healthy” claims like “no sugar added” or “low carb.” Some sugar alcohols like xylitol can be healthy but create gastric upset in excessive amounts. Artificial sweeteners are never healthy. To Bar or Not to Bar? Recognizing their demand, several professional lines now offer higher-quality protein bars with better ingredients. Are they really any better than commercial bars? I hear several opinions about protein bars. Colleagues like Sean Croxton argue to “just eat real food.” Raw nuts and seeds – naturally rich in protein, fiber, healthy fats, and nutrients – make perfect snacks without a protein bar’s preservatives and other junk that give it a long shelf life. Another opinion is not to snack at all. Do your meals right, have a post-workout protein shake, but otherwise stay away from snacking. JJ Virgin points out every time you eat you raise insulin levels, so especially if you’re trying to burn fat, you might want to consider de-snacking. I get it though: Sometimes you’re going to snack. You’ve had a substantial lunch when you’re driving to your 3 p.m. client, you suddenly get a pang of hunger, and your sweet tooth kicks in. A low-sugar, smartly designed protein bar would be your perfect option here. 1. Quest Bars – Quest Bars pack an impressive 20 grams of high-quality protein, though if you’re dairy sensitive, be aware that protein comes from whey and milk. I also love the whopping 18 grams of fiber and just one gram of sugar in every bar. The natural line comes sweetened with stevia and erythritol (both thumbs-up sweeteners), so stick with those rather than the sucralose- sweetened regular line. 2. Kind or Luna Bars. These real food-based bars contain no nasty chemicals or artificial sweeteners, impressive amounts of fiber and healthy fats, and some of them are relatively low in sugar. (A few Kind Bars, for instance, boast just four or five grams of sugar per bar. Nice.) They taste amazing and are very easy to overeat, as I recently found out at the airport when one dark chocolate Kind Bar became three. Know thyself here: That sugar and calories add up quickly. 3. Virgin Diet Bars – JJ Virgin created these fabulous low-sugar cashew butter-based bars that pack protein, fiber, and healthy fats. They’re chewy, are made with the highest-quality ingredients, and have a unique, satisfying texture. Available in Cinnamon Cashew Crunch, Dark Chocolate Cherry, and Coconut Cacao. 4. Papa Steve’s – These have become my favorite post-workout bars because several flavors pack an impressive 20 grams of high-quality whey protein. They’re produced in small batches and – because they contain no preservatives – must be refrigerated. Yah for real food! They still contain some sugar and can become easy to overeat, so split this bar in half and share with a friend. 5. Cocommune Bars– You’ve got a craving for a Mounds Bar, but don’t want the sugar. Your solution: Cocommune Bars from Designs for Health, available here. Made from real coconut (so you’re getting tons of healthy fat), high in fiber, and very low in sugar and carbs, these are my go-to snacking bars. They don’t have much protein, and higher amounts of sugar alcohols in these bars can create serious stomach upset. Considering they’re incredibly delicious and easy to overeat, you’ve been warned! Several readers shared definite opinions about protein bars. Some love ‘em while others stick with real food or avoid snacking. What’s your stance here? Share your comments below or on my Facebook fan page.